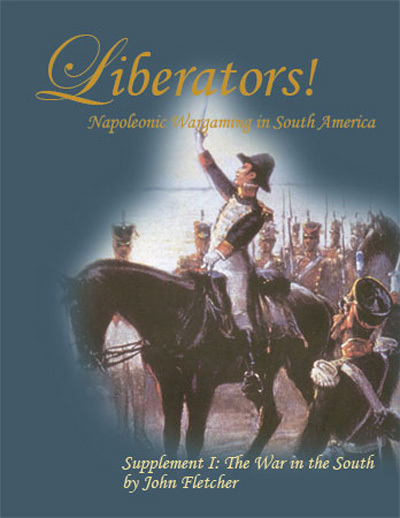 Llanero/Peasant Infantry (Command) [LI-04] - $3.60 : Grenadier Productions,, Home of Liberators! 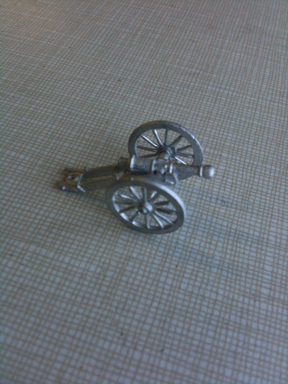 6 figures; 2 colonels, 2 drummers and 2 privates with spears/lances. 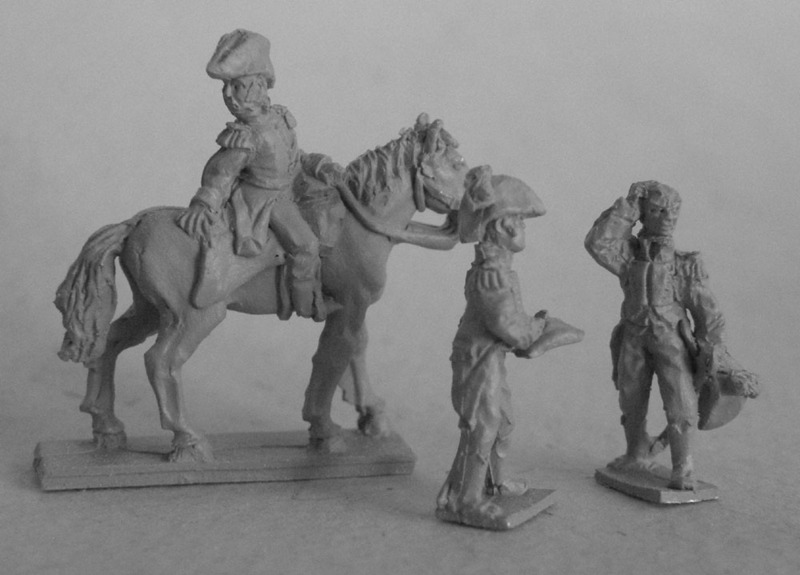 1 pose each for colonel, drummer and spear/lance. 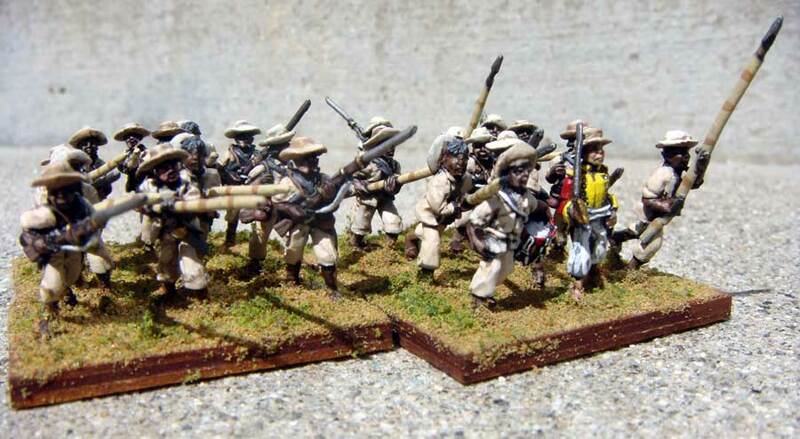 Use these figures for all Llanero, irregular, "campaign look" or militia forces. 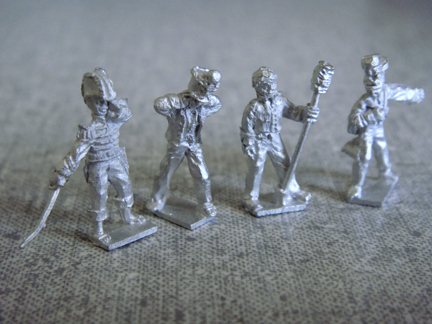 This pack contains officers and drummers for building command stands. Use privates with spears/lance as flag bearers. 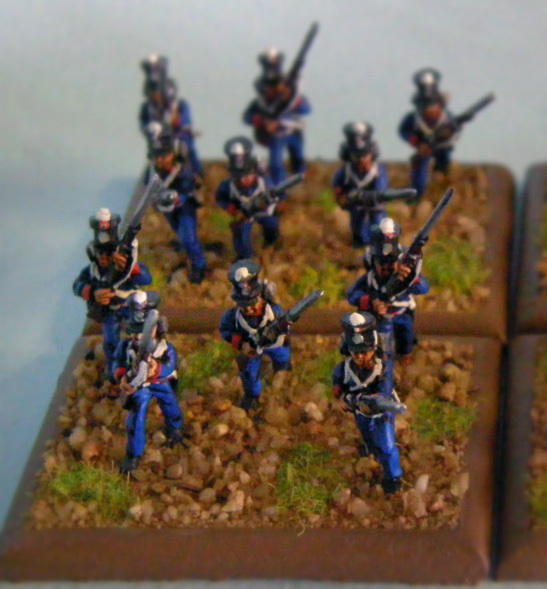 This pack contains command officers for 2 battalions. To show more officers or NCOs within a battalion, use privates with some kind of marking, a colored armband or different colored shirt.